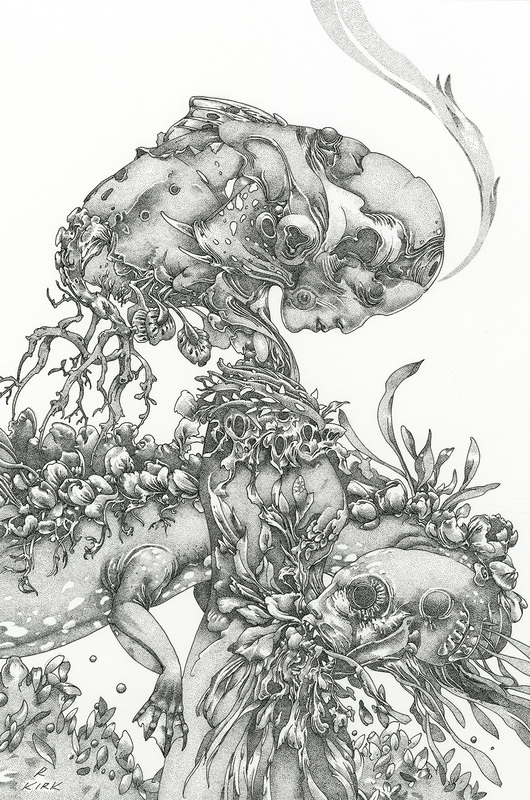 Pollen is a new drawing (personal work) that I finished towards the end of January. It was done using .13 & .18 Rotring Rapidograph pens. The image below is a quick iPhone shot of a new work in progress called Hearts Divided. I’m hoping to get it done in the next few weeks, working on it between other things. 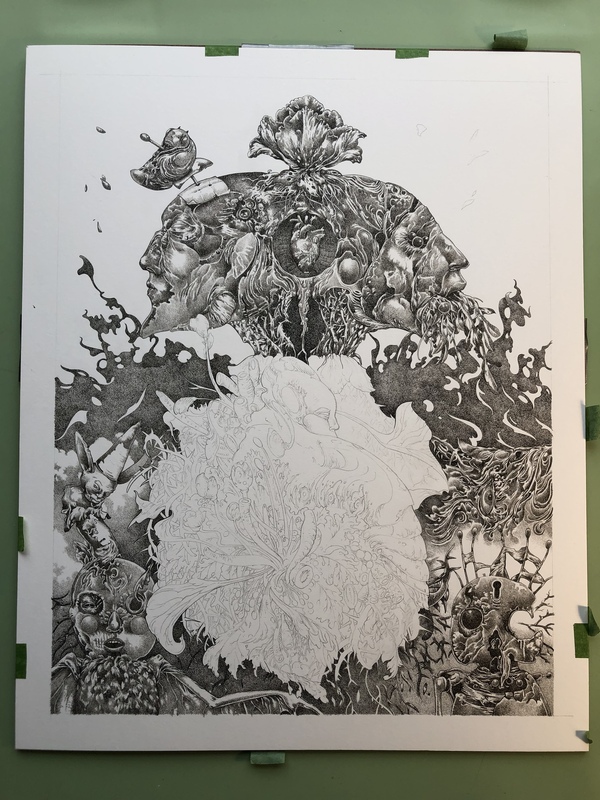 The piece is 17″ x 14,” ink on archival quality illustration board. On the writing front, I’m in the middle of a full revision of my latest novel The Tailor of Echoes. My goal is to have it completed by the end of March.